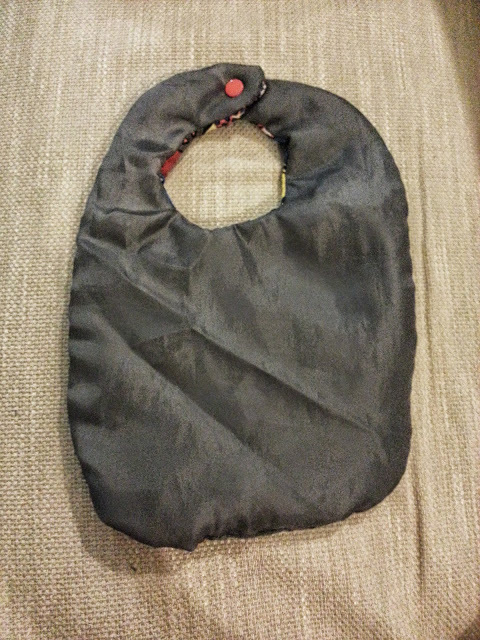 I’ve been considering learning how to sew for a while now – mainly so that I can enhance my knitted bags with a lining. And so I ventured out with a friend who has a sewing machine and we gave it a try. 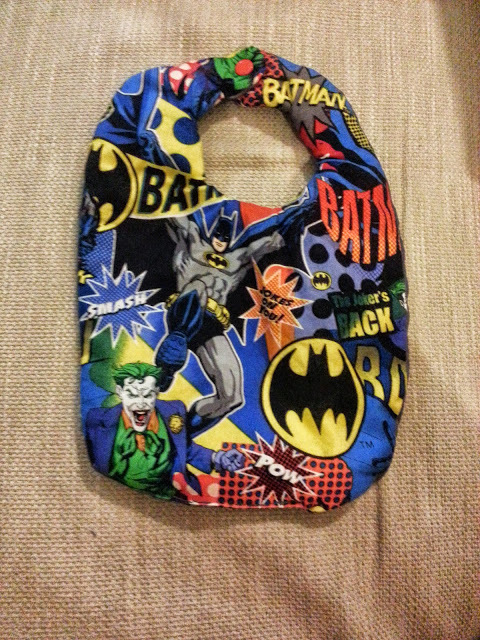 We successfully made an “off centered” Batman bibs for our sons – which is my way of saying lopsided. Considering this was my first sewing project since 8th grade Home Ec class I’m going to keep trying to improve my sewing skills. After that experiment, I tried lining a crochet bag by hand and got a beautiful disaster! There is no rhyme or reason to it, I didn’t follow any tutorials. I just cut, pinned and let the needle and thread guide me. I even made a very awkward pocket on the inside and added a little metal ring where I can clip on my keys. Obviously I am not qualified to give ANY sewing advice, but I can offer one small tip. If you have a purse that you no longer use, or that has a rip in the lining, or a stain in the front, or was just a really good find at a second hand store – tear it up! Just like a car chop shop you can use the parts of something old and put it into something new (sorry I couldn’t think of an example that didn’t break the law). For the bib, I used the inside lining of my old purse to do the backside and for the crochet purse I snatched the magnetic clasp to help close it! 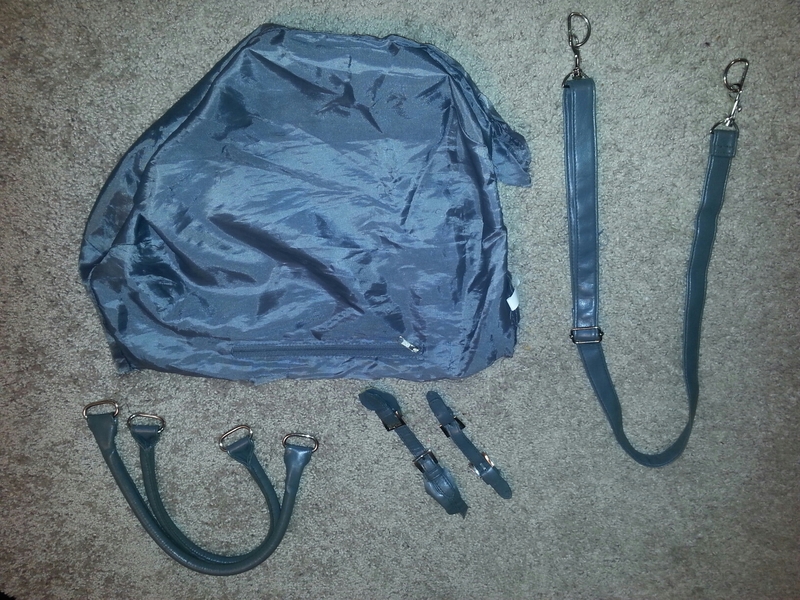 I also managed to salvage a small zipper, two purse handles, the cross body strap and a few decorative buckles. Not sure when I will use them, but I am sure they will serve a purpose at some point in my crafting future. That is exactly what I do with these things – reuse them in other things! I can almost get giddy when I find an old purse with great handles and zippers and other hardware that I can reuse. But I never thought of using the liner on a bib. Neat idea.